Kanga Camp is situated in the remote inlands of the Kanga Pan, Mana Pools, Zimbabwe. 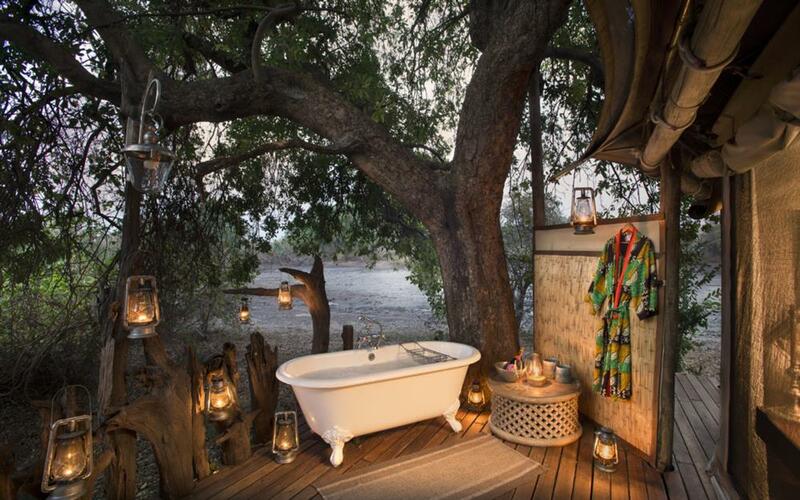 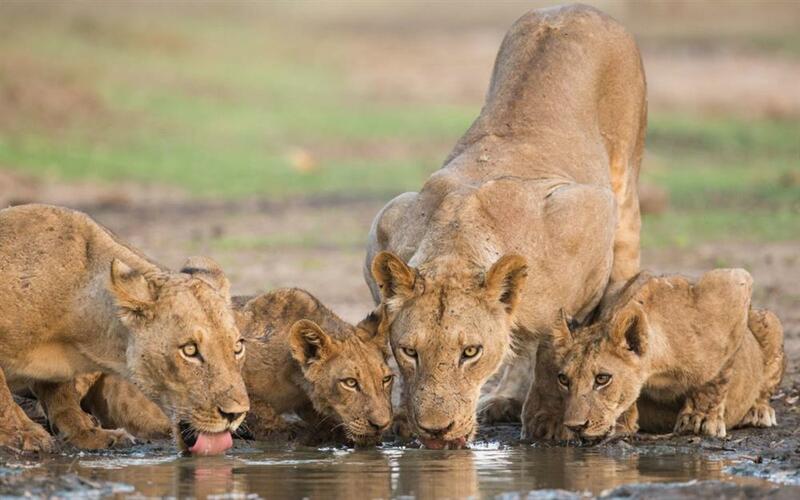 The views are unspoilt and the safari experience truly authentic and the Kanga Pan is the only water source in the area, bringing wildlife and bird life to your door. 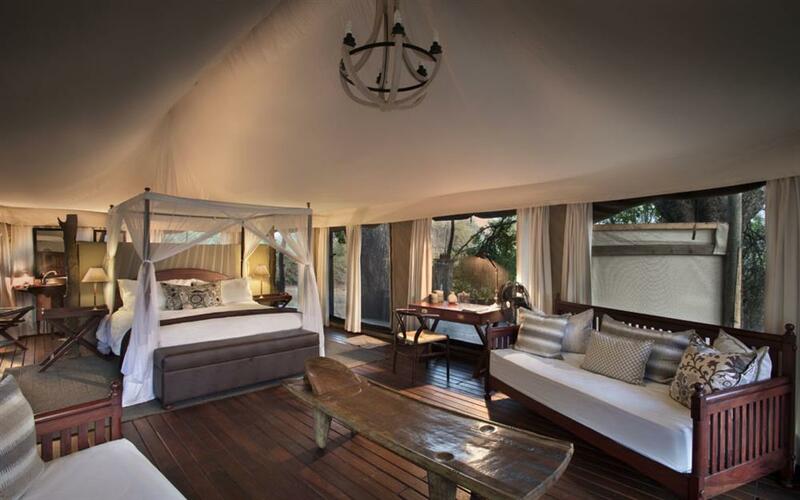 There are six tents all raised on a wooden platform for an elevated view over the Kanga Pan. 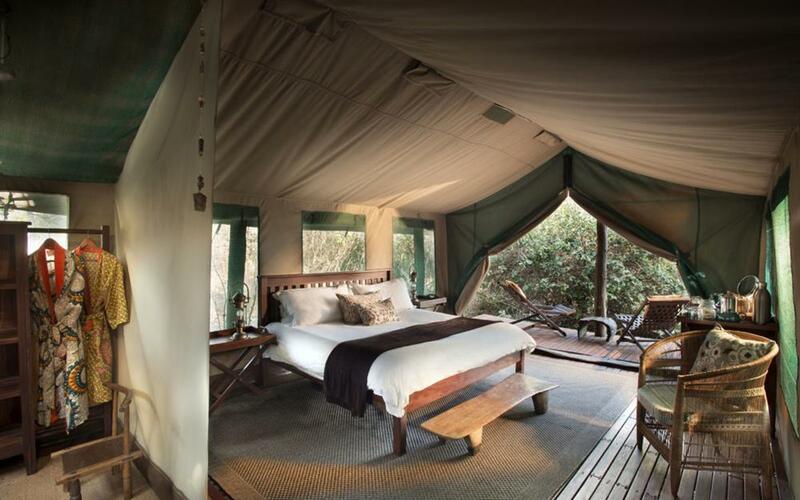 Each boasting floor-to-ceiling mesh windows to let in ample natural light and a light breeze. 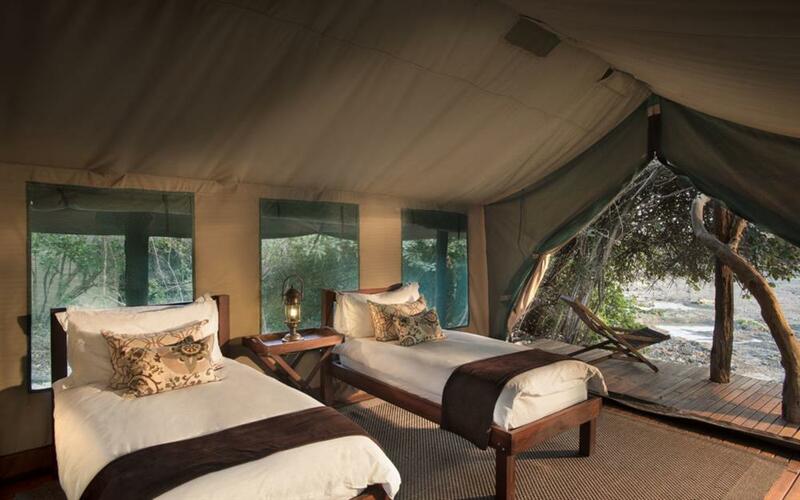 All tents are complete with en suite bathroom, flushing toilet, outdoor showers, hot running water and a secluded veranda. 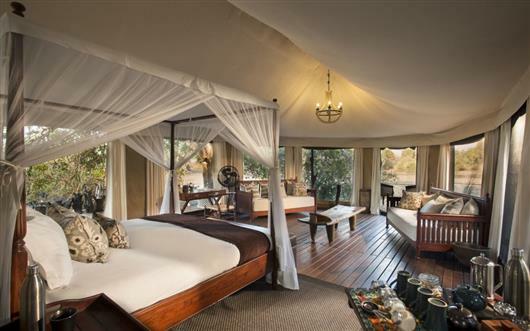 Kanga Camp is a great option for families with a dedicated family tent which boasts a wraparound terraces facing the pan with private seating and dining areas. 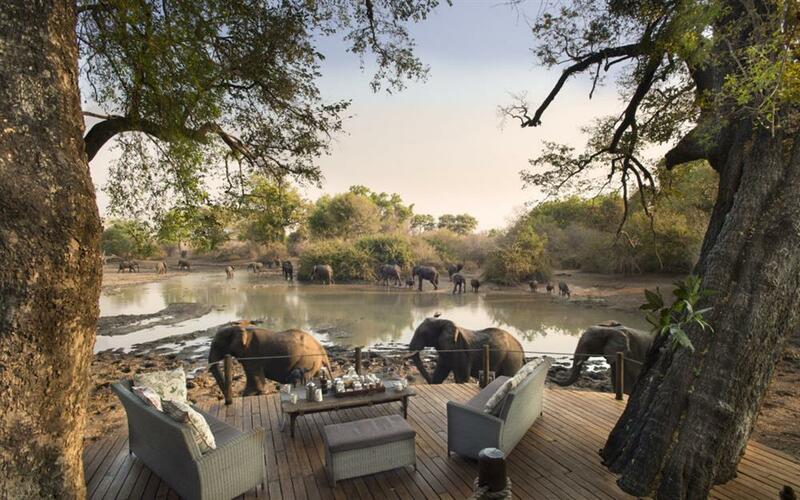 Relax in the upper deck lounge under the shade of a mahogany tree or sit on the deck below near the splash pool and soak in the uninterrupted views of Kanga Pan’s hyperactive watering hole – the perfect “armchair safari”.